This station was closed in 1940. Peter Markus bought it and donated it to the museum in 1989. 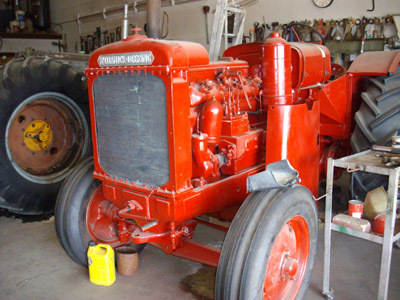 The members of the Prairie Tractor and Engine Museum Society have done the restoration work. During the homesteading years mail order companies sold almost everything. This house was sold to Rennie Housenga of Iron Springs by Timothy Eaton Co. in 1915. It replaced his original sod house. The house was heated with coal. Water was hauled to a cistern and delivered to the kitchen by a pump. The total cost of materials was $945 delivered to the closest railway station. The carpenter’s wages to build the house about doubled the cost. Eaton’s ceased selling houses in 1933. Many of those houses are still in use across the country even today. 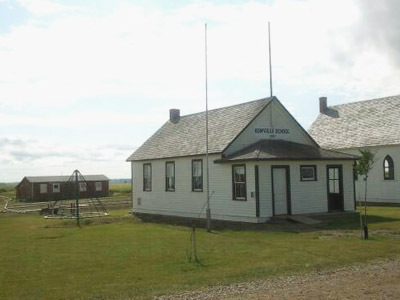 Bowville School was built in 1907, and for 34 years served the children of that district, south and east of Carmangay. The school was closed in 1941 but it continued to be used as a community centre for several years. In the fall of 1988, it was moved to this location. It is representative of the hundreds of one-roomed schools that once dotted this country. The teacher taught all subjects in grades one to nine or ten and also frequently served as janitor. Hundreds of grade two students tour this building every year as part of their curriculum. They obtain a brief hands-on experience of the kind of school that their ancestors once attended. 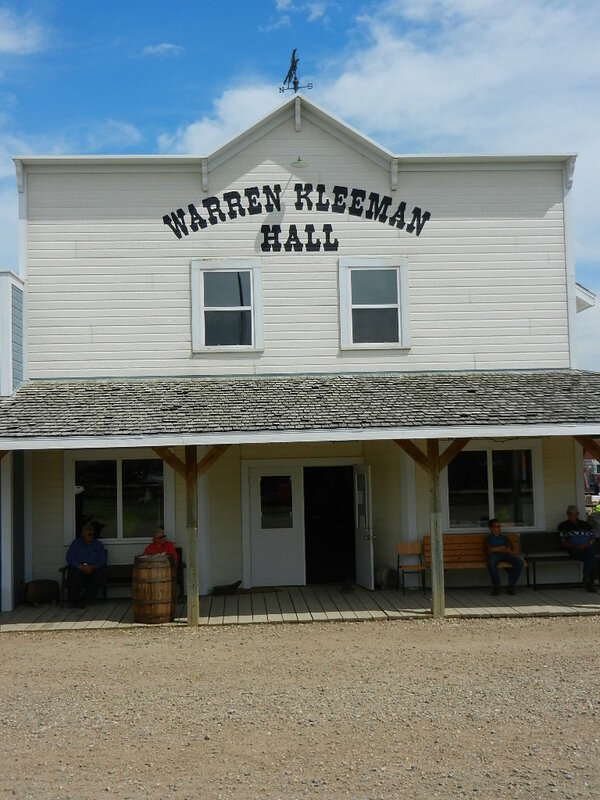 In 2001, the Prairie Tractor and Engine Museum Society received a substantial legacy from the Warren Kleeman Estate. There were sufficient funds to construct this 93′ x 53′ building. It is one building on the inside, but the outside is designed to look like several old time stores. There is also a meeting room, three offices, and space for social gatherings. On display there are many historic items and artifacts such as: a scale model of a hiding place in Holland for Jewish people during World War II, model steam engines, a cream separator, a kerosene lantern, a gasoline mantle lamp, telephone equipment, sewing machines, irons, washing machines, stoves, and hundreds of other pioneer household items. 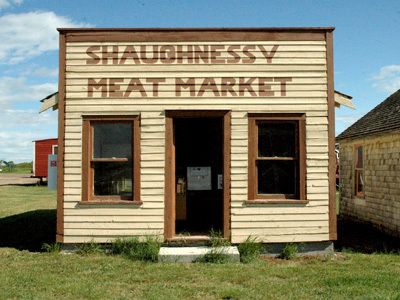 The Shaughnessy Meat Market was opened in 1928 by Frank Elliott. Jim Plant was hired as the butcher. In the late 1940s it was moved to Turin and then was relocated to this museum in 2006 and restored as an old butcher shop. – The successes in maintaining law and order to form the Royal Canadian Mounted Police. Be sure to read all the information inside the jail to learn about this important segment of the history of our country. 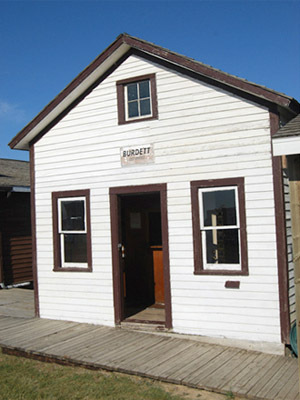 This fire hall was built on its present site by the Picture Butte and District Volunteer Firemen’s Association Lethbridge. Construction on the hall was begun in May 2008, and all the work has been done by volunteers. The structure serves as home for the Picture Butte #1 Fire Truck, and will eventually serve to house artifacts and archival materials from other Fire Departments across the country. The truck is Picture Butte’s first fire truck. It is an International Seagrave Midship Pumper, and was purchased by the local Fire Department in 1956. After 20 years of active service in the Picture Butte Department, it was sold to Grassy Lake. In 1988, Grassy Lake retired it from fire service, and in 2001 one of our local firemen spotted it in a farmer’s field. Subsequent negotiations with the Grassy Lake Fire Department and the M. D. of Taber led it to being returned to Picture Butte in 2003. 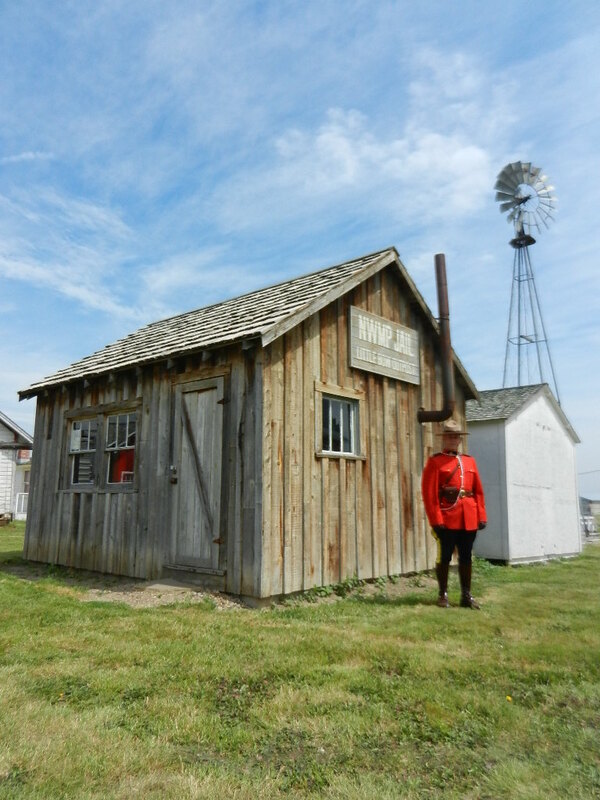 It has since been restored to a fully operational condition by the Picture Butte Volunteer Firemen’s Association. 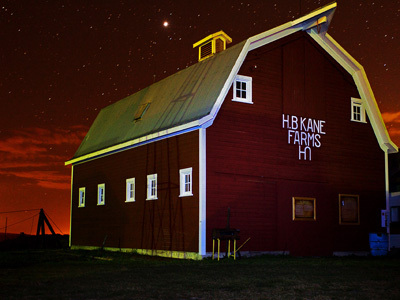 This barn was built by Harry Kane in 1916 at a cost of $1200. It is typical of the many big barns that were built in that era. The loft was used to store hay for the horses. In 1991 the barn was moved from its original location on the farm to this museum. This is one of several buildings from the Relief Camp that was established in the 1930s to house unemployed and homeless men. 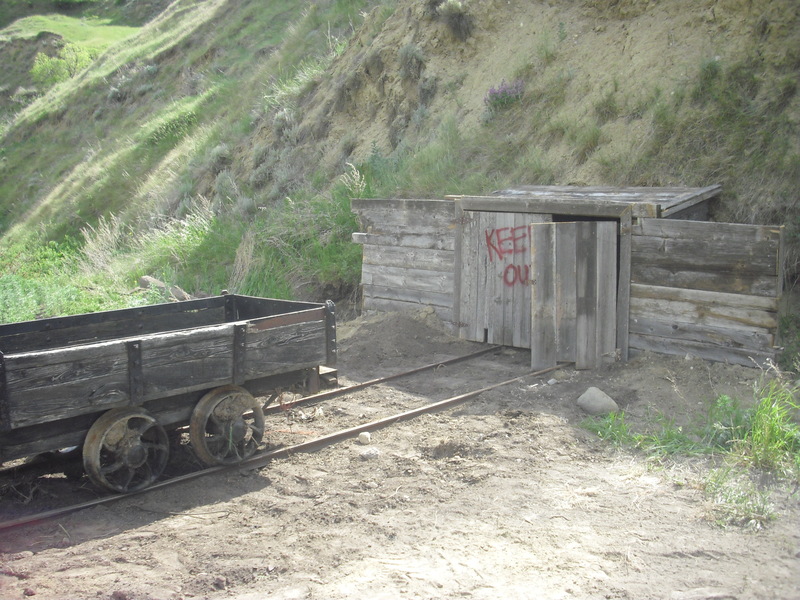 It was located in the Old Man River Valley, near the Nolan Bridge, east of Picture Butte. This shack was built by Mr. Frank Papworth in 1904 on his homestead on SE.4.13.19W4, six miles north of Turin. 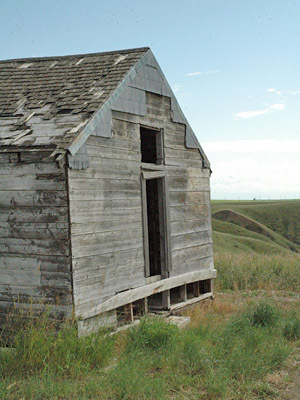 It is typical of the many homestead shacks that dotted the prairies. 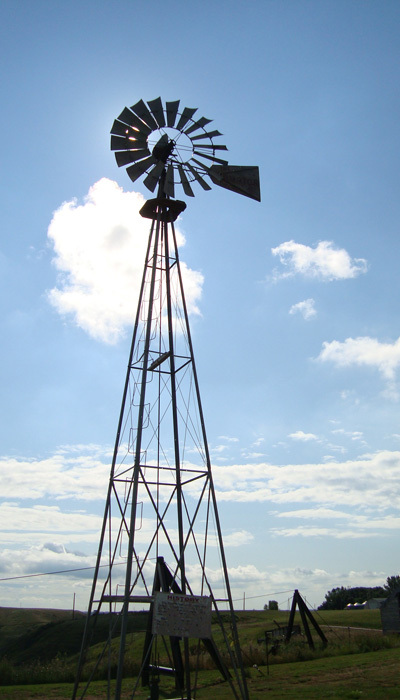 This is one of hundreds of windmills that pumped water from wells to supply water to farms and livestock. It was originally owned by the Oates family in the Barrhill District. Leonard Haney acquired it and donated it to the museum. This ferry was moved to this location in 2003 from Finnegan which is on the Red Deer River south of Hanna. Most of the ferries in Alberta have been replaced by bridges. Read the story on the sign in the wheel-house. 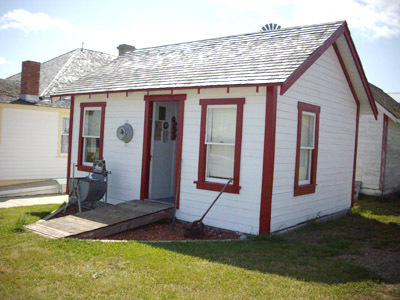 This ranch house was built in 1908 north of Coaldale and on the north side of the Old Man River. The Thomas Patrick Nolan family lived here from 1936-1942. The story of its history and restoration by the Nolan family can be found inside the house. 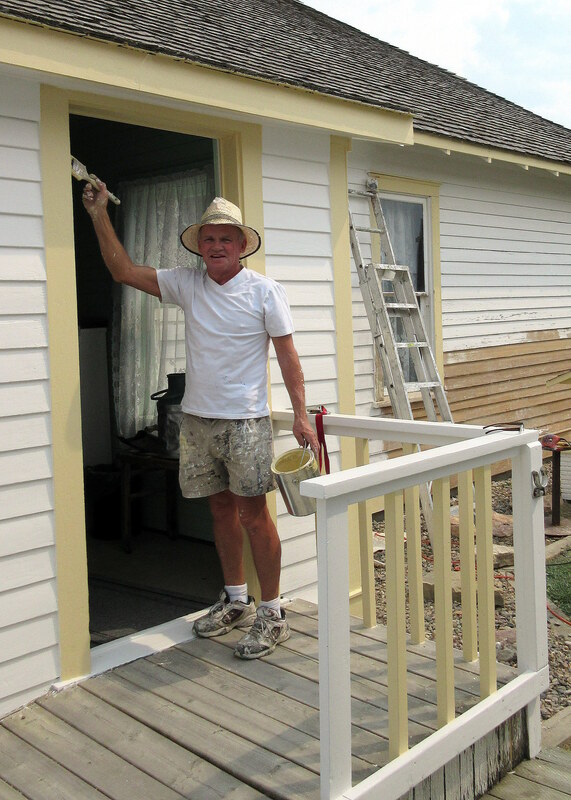 Bob is giving the Nolan House a new coat of paint. He is a professional painter doing a fantastic job. Summer of 2015. 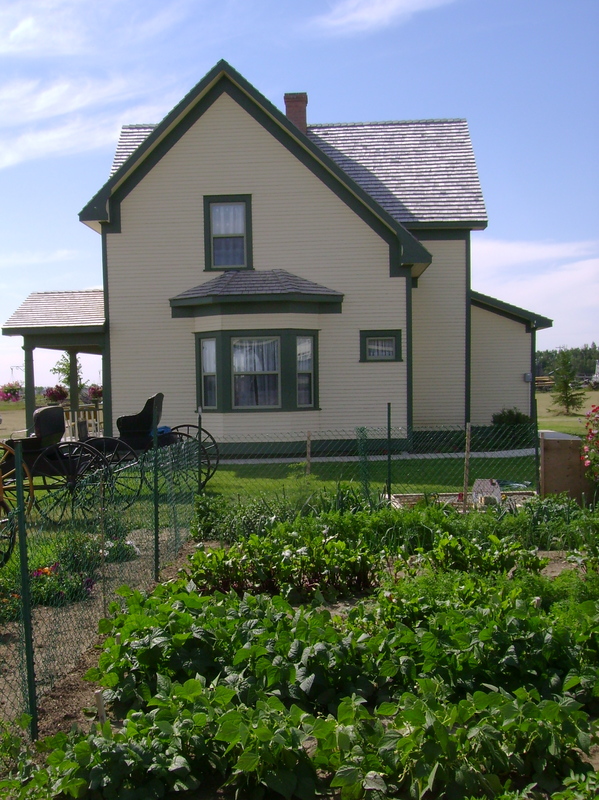 This house was donated by Bill Rae and was moved from its original location just west of Picture Butte. 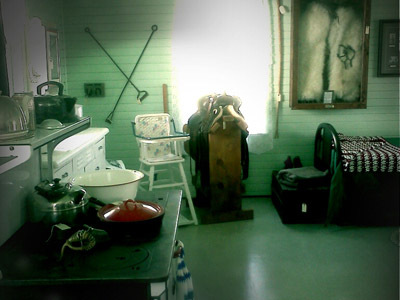 It contains furnishings and artifacts from the early homestead era. 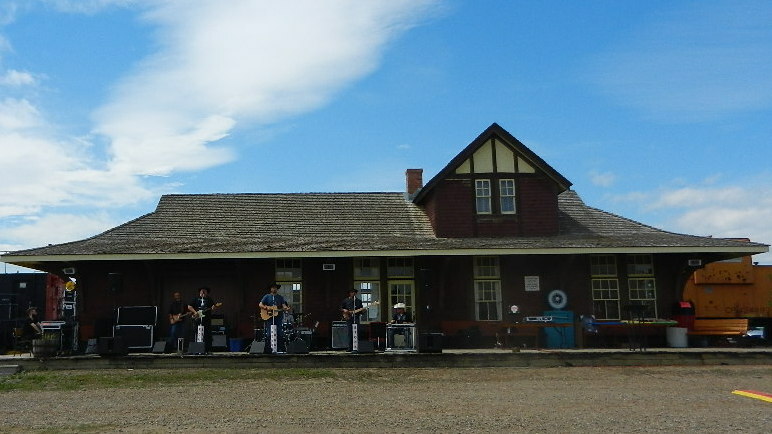 This building was used for many years as a blacksmith shop on the farm of Henry Kempenein, northwest of Picture Butte. It was moved to this location in 1993. 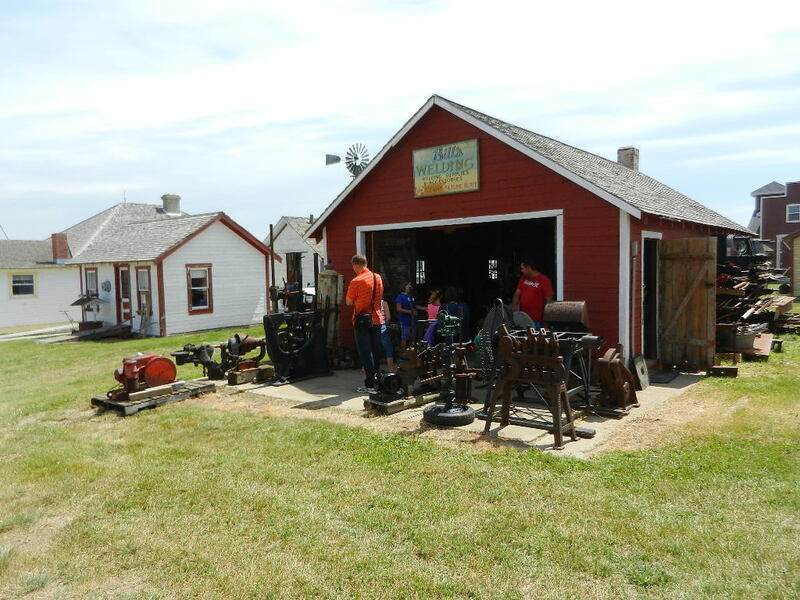 It is once again set up as a working blacksmith shop with the typical power tools, a forge and anvil, and many hand tools. 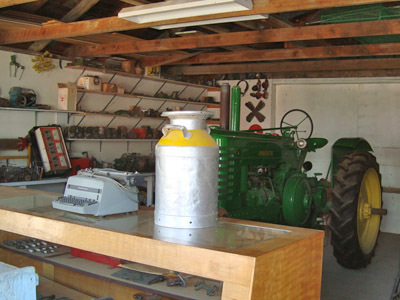 This is a view of the inside of the shop showing two tractors in the process of being restored. 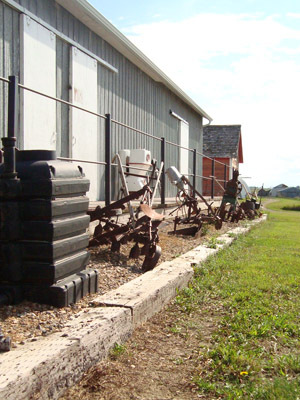 The museum owes an immense debt of gratitude to all those who have worked for many years restoring and rebuilding antique farm machinery. The cook car was a portable kitchen where meals were prepared for the men on the threshing crew. The twelve or so men slept in the bunkhouse. These facilities were commonly used in the 1920s and 1930s. This building was originally a garage on the farm of Sydney and Orville Sorgard northwest of Turin. Merle Goode dismantled it and donated the materials to this museum. 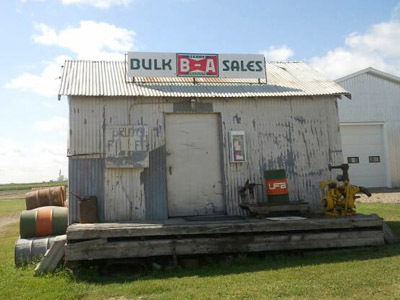 It was rebuilt on this site about 1990 to represent a John Deere dealership. Roy Tinney donated the sign. The R. W. (Ward) Rogers’ Garage was built in Iron Springs about 1925. For 25 years it served as an office for: a service station, a Massey Harris Dealership, Maple Leaf (UFA) Petroleum Sales, an outlet for lumber from Johnson’s Mill, and large trucking business. Ward died suddenly in 1950 and in subsequent years this property was purchased and sold several times. 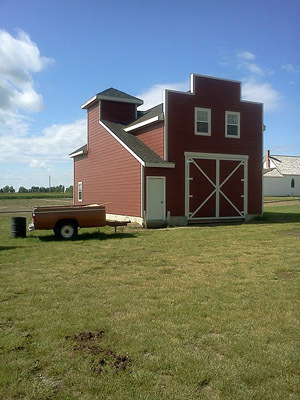 To prevent the building from being demolished, it was donated to the Prairie Tractor and Engine Museum Society and was moved to its present location in 1989. 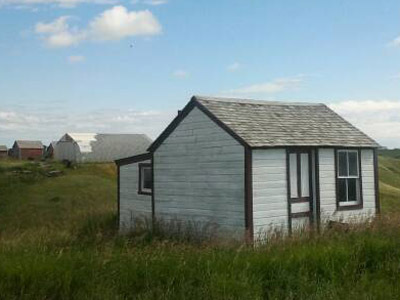 From 1952 until 1988 postal services were provided for the community of Burdett from this tiny building. The postmaster lived upstairs. A new post office was built in 1988. Some years later this building was moved to Coyote Flats Pioneer Village. 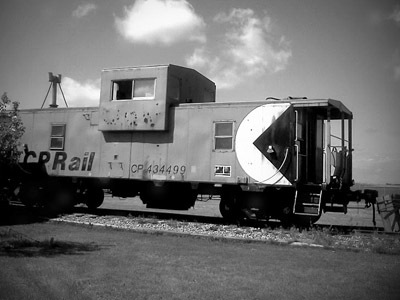 Train employees rode in the last car or caboose of a freight train and signalled instructions to the engineer. The caboose was also used for sleeping quarters and food preparation for the train crew. This car was donated to the museum by the Lethbridge Exhibition Board in 2002. 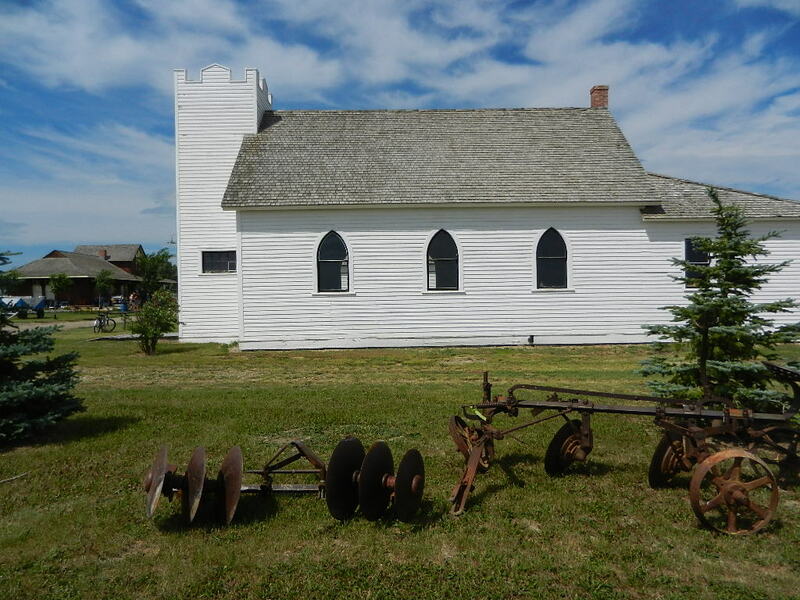 This building, originally on the Haney Farm, contains hundreds of artifacts from the homestead and pioneer years in western Canada. Rick Pascal donated it to this museum. 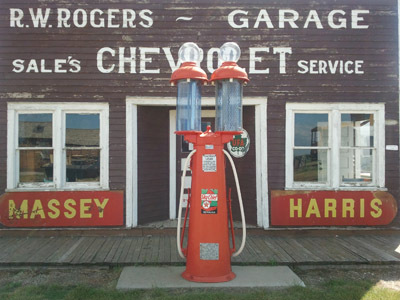 Every town had a bulk oil station similar in purpose to this one. In the days prior to fuel storage tanks on farms, gasoline was purchased in 45-gallon drums. Other fuels as well as grease and oil, etc., were also sold at the bulk station. John, Jenn and I loved our visit today. Daniel was a wonderful tour guide. Will visit again, earlier in the season, next time. Look forward to telling my friends about Coyote Flats. Thanks again. Thank you for your kind words, I will pass them on to Daniel!! Would love to see you folks next year, perhaps even for one of our special events (spring tractor pull, Harvest Days, Car Show on July 2) or anytime the sun shines!